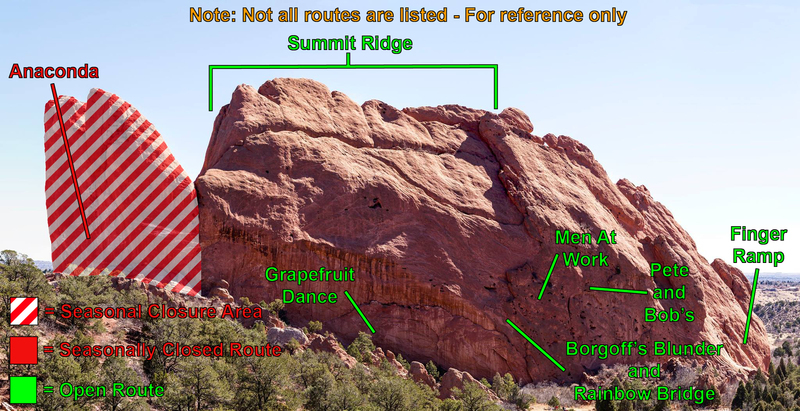 This is an organizational entry to help with L->R sorting that would not otherwise work for this crag. 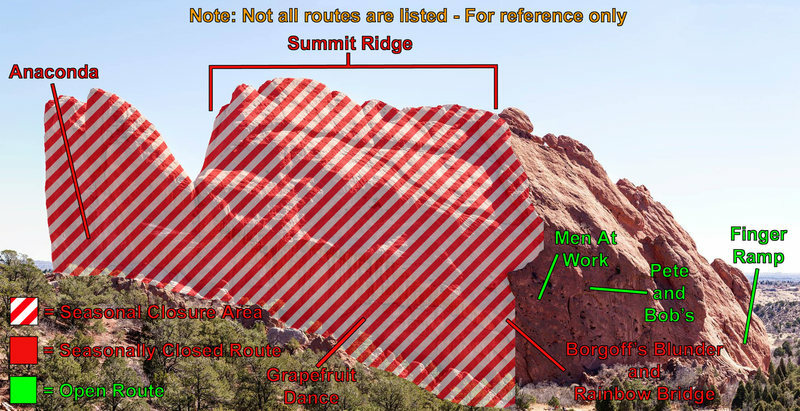 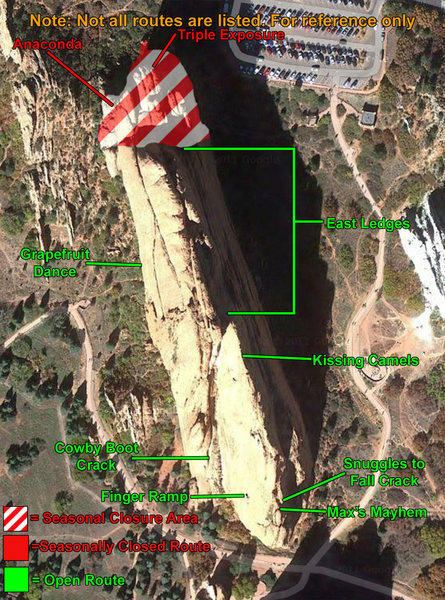 These are routes that ascend above the Tourist Gully (a low angle ramp starting at the south end of North Gateway Rock) and are above the right end of the West Face. 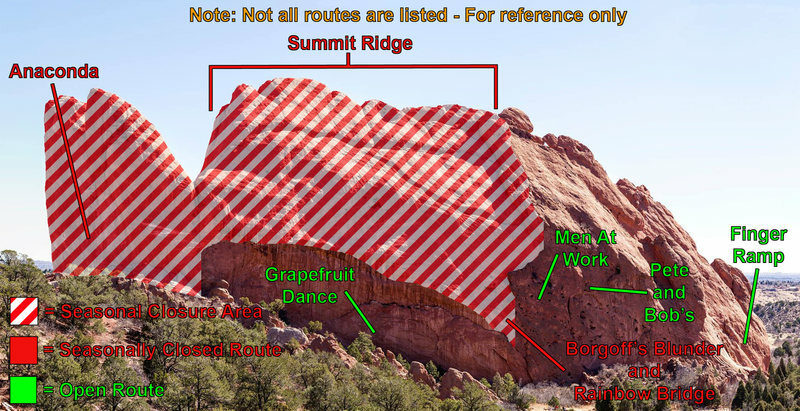 These include routes from Seam Wall to Psychedelic Grandma / Bad But Harry. 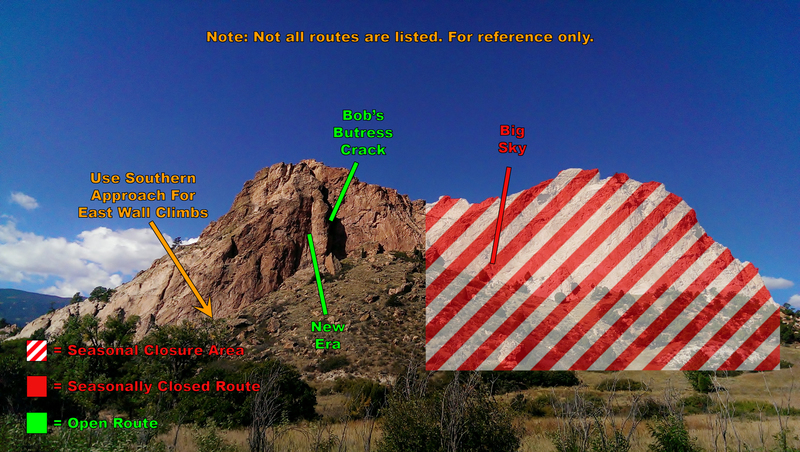 Park at the North Main Parking Lot and walk around the south end of North Gateway Rock to get to the Tourist Gully ramp. 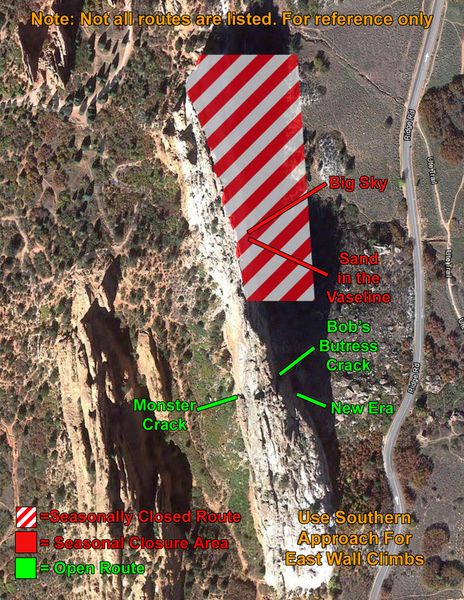 Carefully ascend 3rd class terrain (which can get sandy) to access these routes. 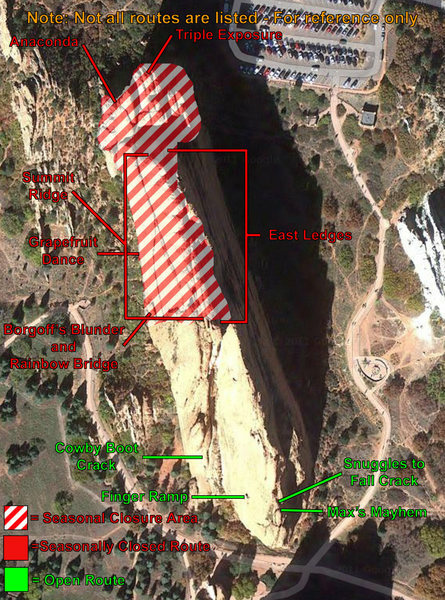 There are some large eyebolts along the ramp that facilitate belaying more safely.